Working in the death care industry, we understand that the families you work with are always your top priority. 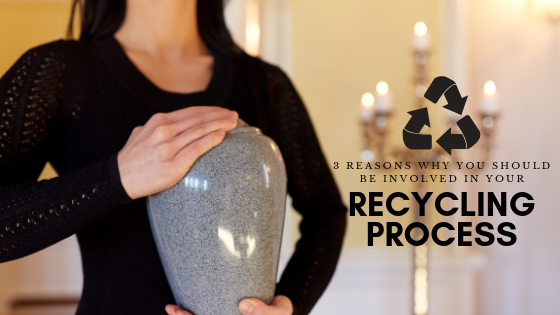 That’s why when it comes to choosing the best solution for the recycling of the post-cremation non organic materials, it’s not always going to be something at the top of your to-do list. In addition to meeting the needs of the families you serve, running a business, and managing employees; overseeing your recycling program can fall between the cracks or be delegated to someone else. However, as the list of responsibilities you handle increases, we want to encourage you to make this one a priority. When YOU are actively involved you avoid potential security/liability issues that might arise and the loss of additional revenue that comes along with it. You can also ensure your program is operating with the best and most up to date practices. When the refining process is out of your hands, it can lead to liability issues. When you don’t know what’s going on with your material and where it’s going, then you don’t have a documented Chain of Custody. CANA (Cremation Association of North America) has a great article outlying Chain of Custody that you can review. Choosing a refiner should be handled in the same way that you would build a partnership with any vendor. You would not want changes being made in regard to your company’s partnerships without your knowledge, right? However, when there is a lack of oversight on your recycling programs, sometimes arrangements are made that you might not be aware of, and they might not always align with your business’s values. Being involved ensures that your employees are educated on the correct steps that should be taken, and that all aspects of the remains are being properly handled. For over a decade we have worked with crematories recycling their metals, and in that time, we have heard various stories including theft, lower than average returns, and less than ethical contact methods from other refiners. This has led us to not only educating owners, but working with you to become an involved partner in your recycling program. We provide recommendations on security protocols that should be in place, how to spot negative fluctuations in their collection process, and repercussions that come from being stuck in a contract. These recommendations have improved the return and process for our customers. Being a part of the AFCCA gives you valuable information on industry trends and education on best practices for your business. As a silver sponsor of the AFCCA we strive to support them, their Foundation for Children charity, and you, by providing materials to enhance your recycling program through security, transparency and trust. You get much needed information on enhancing, or setting up your program, through our SETT program. If you are an owner and want to get more involved in or implement a recycling program at your facility, Core Scientific can help. Contact us at (877) 308-2388 or info@core-scientific.com .